These days, doing the double has become synonymous with FC Barcelona. No other club in Europe’s top leagues have done it more than the blaugranes. Barça has achieved this legendary feat on five occasions, as part of the treble winning campaigns of 2008/09 and 2014/15, the LaLiga and Champions League double in 2010/11 and the league and Copa del Rey triumphs of 2015/16 and the current season. 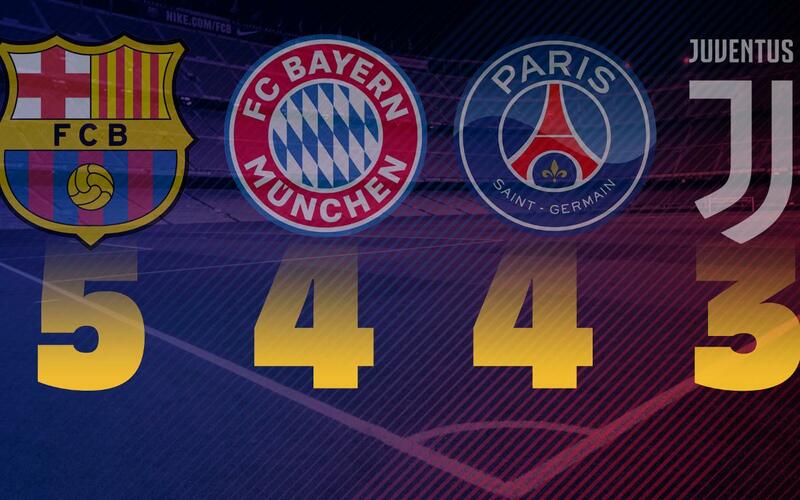 Elsewhere in Europe, footballing giants such as Bayern Munich in Germany and Paris Saint-Germain in France are Barça closest rivals with four doubles each in the last decade. The Bavarians did the treble (league, cup and Champions League) in 2012/13 and have claimed the league and cup double in three other season. This year Jupp Heynckes’ team have the chance to equal the blaugranes’ achievement with the Bundesliga title already in their possession and the German cup final still to come. Paris Saint-Germain won the league and the league cup in 2013/14, domestic trebles in the two following seasons, another double in 2017/18 and have the chance this season to add another domestic treble this season with the French Cup final still to be played. In Italy Juventus have dominated in recent season but have only claimed the double three times with the chance for another this year if they beat AC Milan in the Coppa Italia final. The likes of Real Madrid, Manchester United, Manchester City and Chelsea have won the double on two occasions each over the last 10 years.